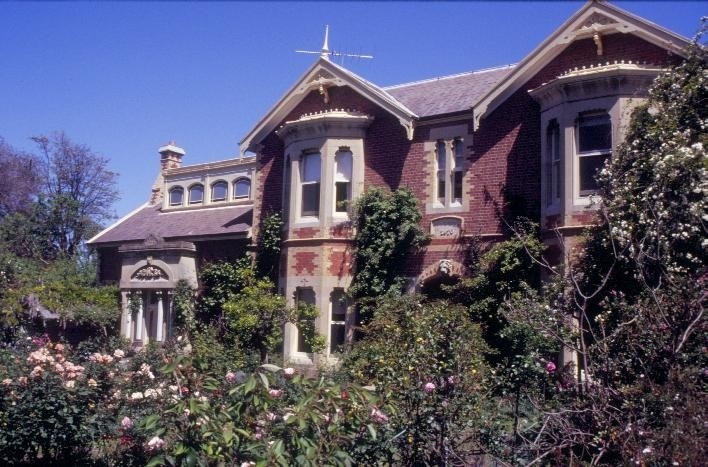 Belleville was constructed in 1870-71 for notable Geelong surgeon Dr David Boswell Reid, with the billiard room being added in 1874. It was designed by the prolific Geelong-based firm of Scottish architects, Davidson and Henderson. 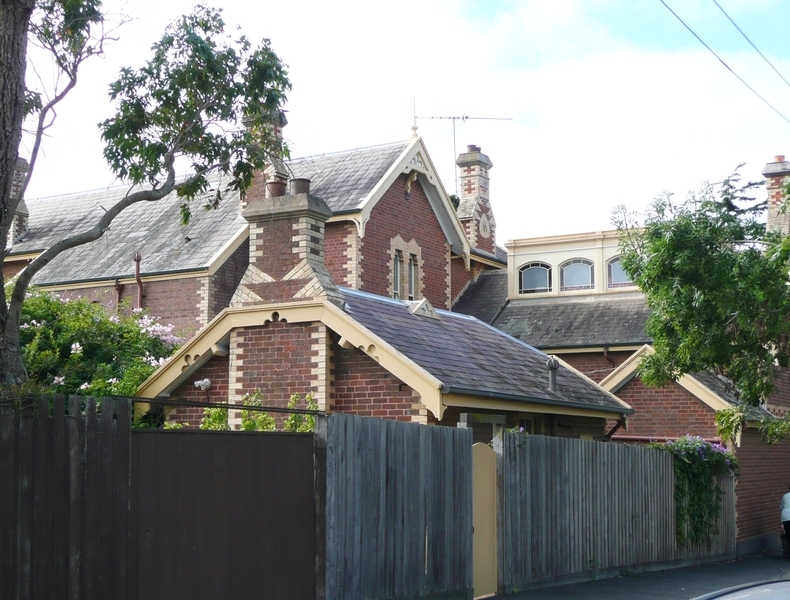 It is a two storey polychromatic brick villa with gabled slate roof and dressings and ornamental carvings in Waurn Ponds freestone. 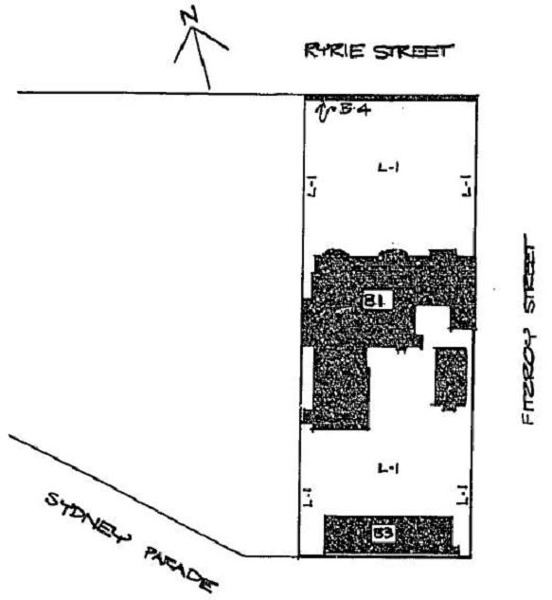 The house has a small cellar. 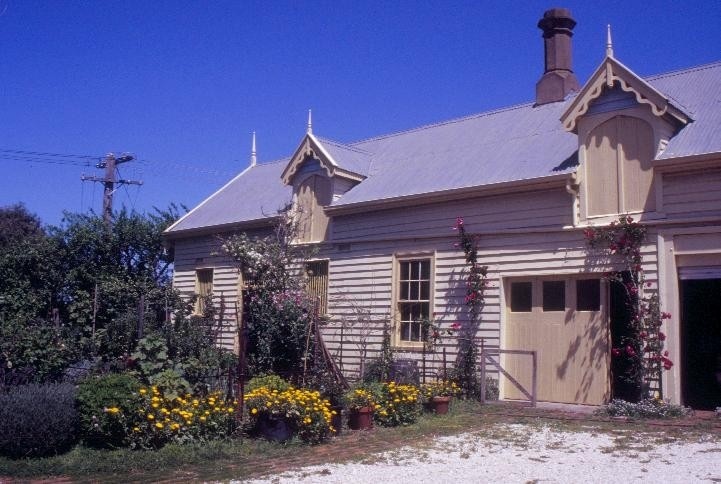 There is a dichromatic brick wash house directly behind the house, with its original hand pump connected to the underground water storage well in the adjoining courtyard area, and a substantial timber stables building on the rear boundary. 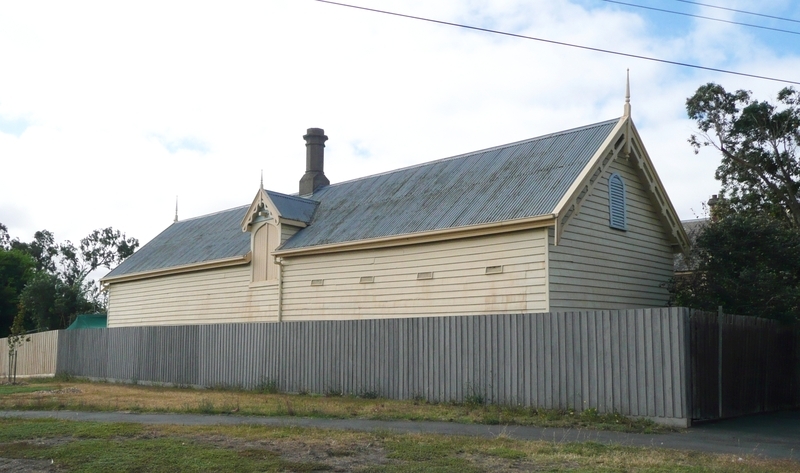 Belleville is of architectural and historical significance to the State of Victoria. 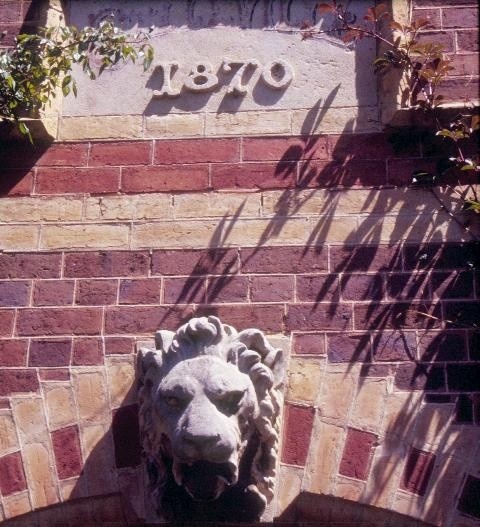 Belleville is important as an extraordinary example of the work of prolific and talented architects Davidson and Henderson for its skilful use of polychromatic brickwork and ornamental Waurn Ponds freestone. 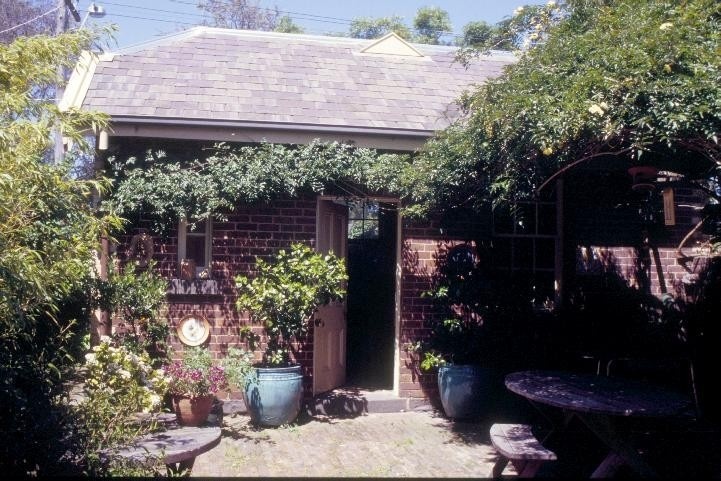 Belleville, a substantial and largely intact brick villa, also retains its original outbuildings and fence. It is also important for its construction technology in being an early use of cavity wall construction. 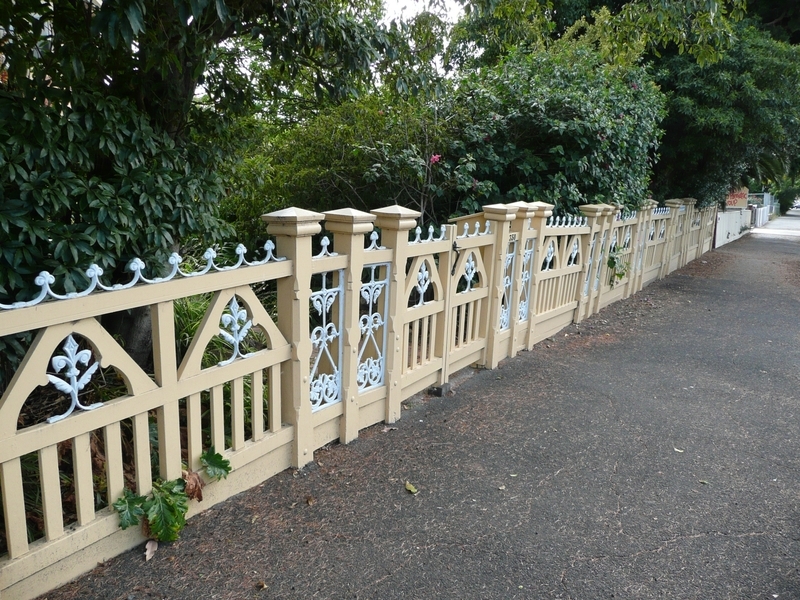 Belleville demonstrates outstanding decoration in plasterwork, particularly the billiard room and the cornices; in its innovative use of decorative cast iron combined with timber in the fence and staircase; and in the combination of polychromatic brickwork combined with ornamental carvings in Waurn Ponds freestone. 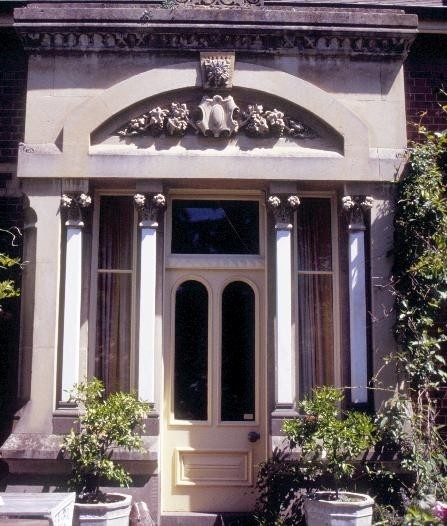 Belleville is important for its association with notable Geelong surgeon Dr David Boswell Reid for whom it was built. His father, also a doctor who practised in Edinburgh, was famous in his day for inventing a system of ventilating buildings which was installed at the Houses of Parliament, Westminster. This ventilation system was installed in Synot's Geelong wool stores, Reid having married George Synot's daughter. 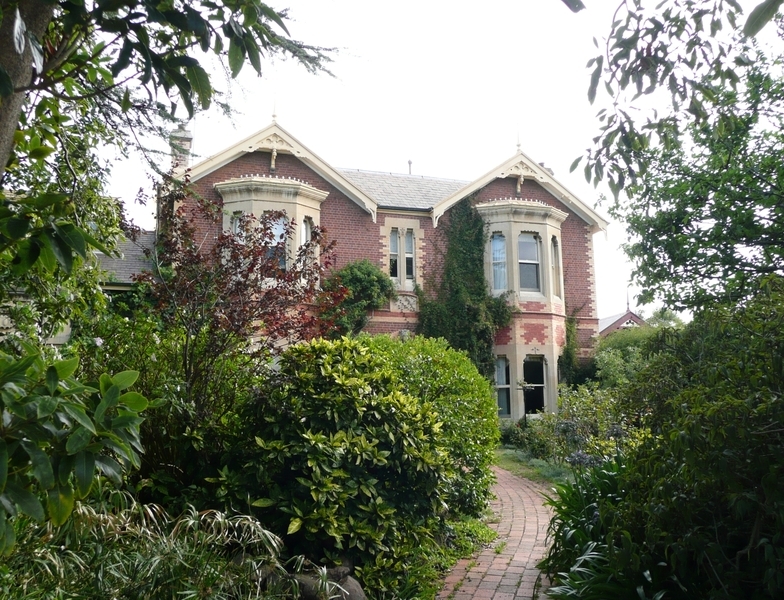 Belleville, 350 Ryrie Street, Geelong, City of Greater Geelong. 1. 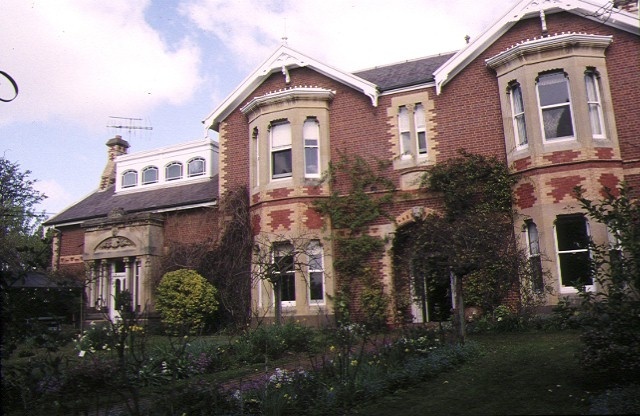 All the buildings known as Belleville, comprising the main house marked B-1, the wash house marked B-2, the former stables/coach house marked B-3, and fence marked B-4; on Plan 601032 endorsed by the Chair, Historic Buildings Council and held by the Director, Historic Buildings Council. 2. All of the land described in Book 692 Memorial No. 407, marked L-1 on Plan 601032 endorsed by the Chair, Historic Buildings Council and held by Director, Historic Buildings Council. Installation of curtain track, rod, blinds . coverings, and installation of new fixtures, and wall and floor coverings .